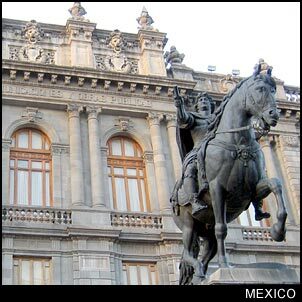 If you are planning to visit mexico (past the border towns) you will need a tourist card. The tourist card is good for up to 180 days, but if you aren't sure exactly how long you will be in country, be sure to over estimate. Changing the amount of time you want to stay after the initial card is issued will take a lot more time than it took to get the card when you entered the country. As soon as you arrive in Mexico, ask where the Mexican Immigration office is (Migración). It will help to speed things up a little if you have a photo copy of your ID (along with the original) ready. There are always copy machines nearby, but it is a little faster if you have the copies made and cash (around $20 USD) to pay the fee (usually paid to a in house bank teller who will give you a receipt to give to the immigration official). You will need a passport if you are entering Mexico by air or sea. US Citizens now have until June 2008 before needing a passport to enter Mexico by land. . . but you will still need an official birth certificate and a state issued picture ID (such as a drivers licence). The Western Hemisphere Travel Initiative will require all travelers, including U.S. citizens, to and from the Americas, the Caribbean, and Bermuda to have a passport or other accepted document that establishes the bearer’s identity and nationality to enter or re-enter the United States. This is a change from prior travel requirements. The goal is to strengthen border security and facilitate entry into the United States for U.S. citizens and legitimate foreign visitors. December 31, 2006 – Requirement applied to all air and sea travel to or from Canada, Mexico, Central and South America, the Caribbean, and Bermuda. December 31, 2007 – Requirement extended to all land border crossings as well as air and sea travel. For more information regarding these new requirements, visit the official http://travel.state.gov site. For Student Visas contact the www.embassyofmexico.org - Mexican Consulate in your area.